Easter is one of the most popular holidays in Germany. After a long and cold summer, Easter marks the beginning of spring. If you are spending Easter in Germany, the one phrase you should memorise is ‘Frohe Ostern’ meaning ‘Happy Easter’. This is said to everyone around Easter time – from the cashier at the grocery store to your closest family members! The Easter weekend begins on ‘Karfreitag’ (Good Friday). Most Germans will eat fish on Good Friday and this often marks the beginning of a whole weekend spent together with the family. Easter Saturday is a great day for visiting an Easter market where you can browse stalls filled with handmade Easter decorations or stop by the local bakery to buy a lamb-shaped cake. In north Germany it is tradition to have an Osterfeuer (Easter fire) on Easter Saturday evening which helps chase away the dark spirits of winter and welcome the spring time. Finally, Easter Sunday is the highlight of the weekend. In the morning, children will often complete an Easter-egg hunt, followed by attending a church service and a big family lunch which is traditionally made up of lamb, potatoes and vegetables. We wish you a frohe Ostern! Can you believe that 2017 has already come to an end? With many celebrations going on tonight, here is a quick guide on how to celebrate New Year’s Eve in Germany. Funnily enough, New Year’s Eve is called ‘Silvester’ in Germany which is in accordance with the German spelling of the name ‘Sylvester’. What significance does this name carry? The 31st of December is also the day on which Pope Sylvester passed away in the year 335. He is most famous for having cured leprosy and baptising Constantine… as you may have noticed, Germans love a good old tradition! If you are spending Silvester in Germany, you will have noticed that every store is busy selling fireworks! Most Germans enjoy putting on their own fireworks, although these don’t even come close to some of the official fireworks, such as the ones in Berlin. It is customary to give a marzipan pig to loved ones on Silvester to bring them good luck. On the night itself two common foods are raclette and fondue which are fantastic meals to share with large groups of family and friends. 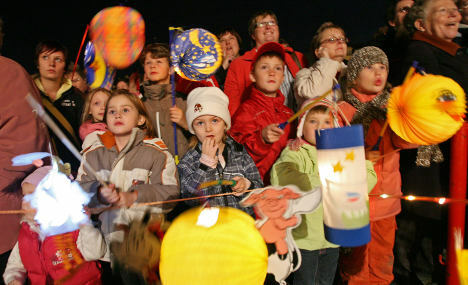 Germans are quite superstitious people and one Silvester tradition is to do a Bleigieβen with your friends or family. 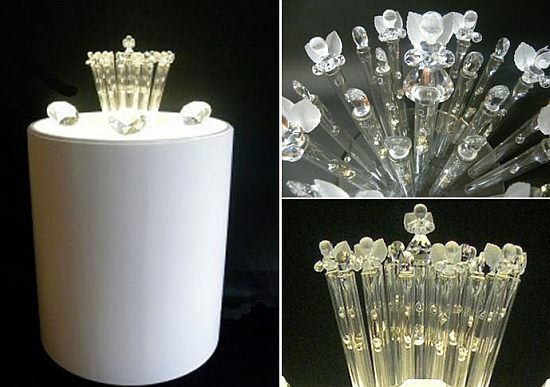 It involves melting a small lead figure over a candle and pouring it into a bowl of water – the shape of the solidified metal is said to predict your fortune for the next year. Last, but certainly not least, it would not be Silvester in Germany without watching ‘Dinner for One’ (also known as ‘Der 90. Geburtstag) at least once! As strange as it may seem, it is a German Silvester tradition to watch this British cabaret sketch from the 1920s. Even though this play is well known in Germany and other European countries, it is virtually unknown in the English-speaking world. German TV stations broadcast the 1963 filming in Hamburg of the sketch on Silvester which you can watch here. Wir wünschen Euch einen guten Rutsch ins Jahr 2018! 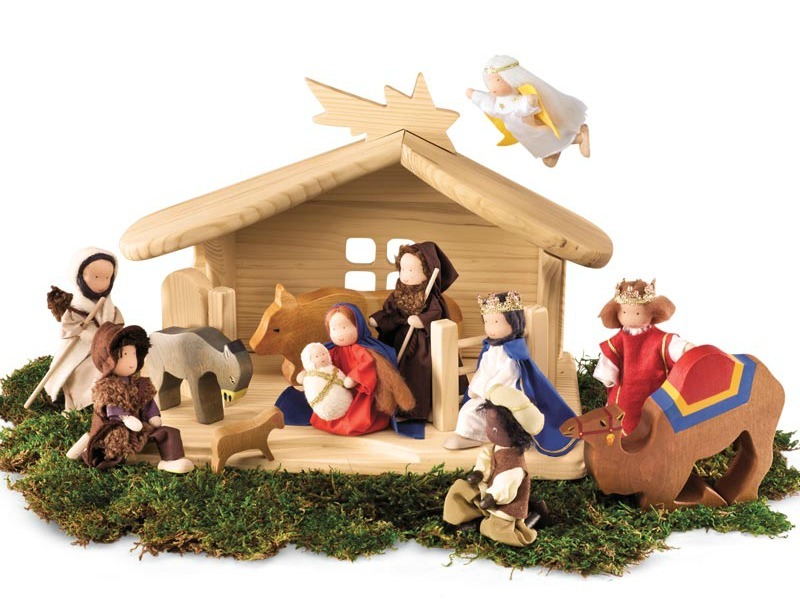 … dann vier, dann steht das Christkind vor der Tür. 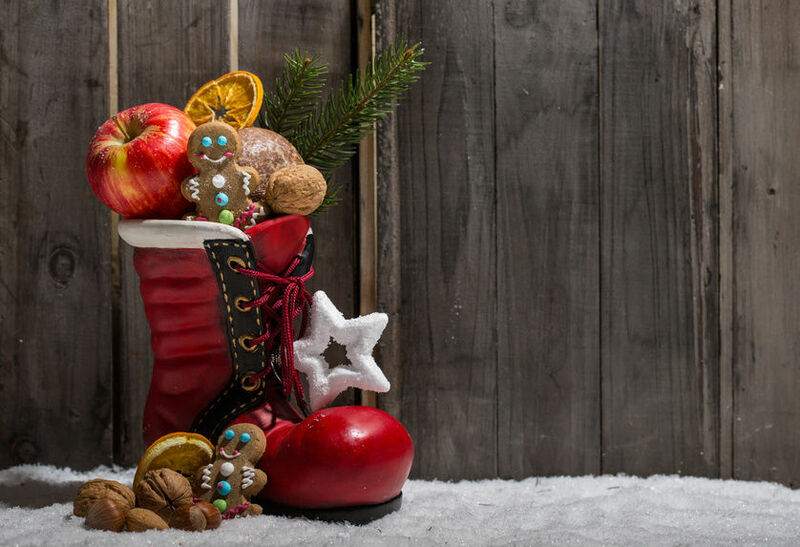 Christmas Eve – in Australia this means one more sleep until children can open their presents and see what Santa Claus brought them, but this evening is celebrated a little differently in Germany! 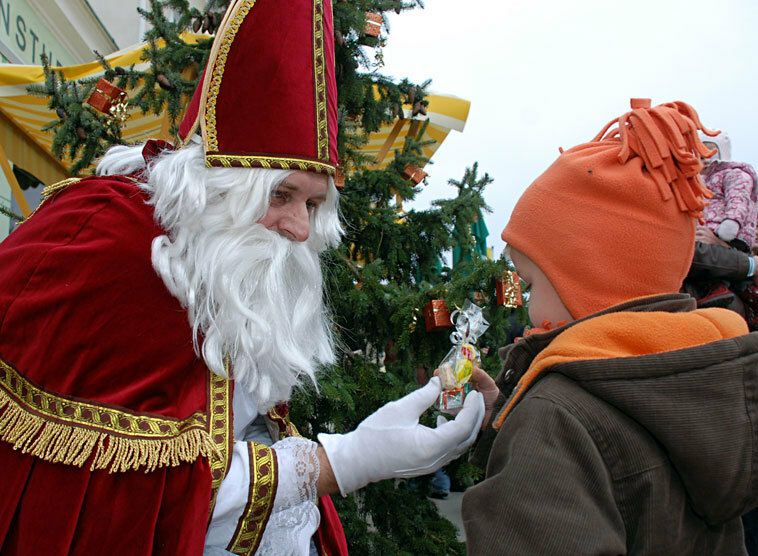 Christmas Eve is not a public holiday in Germany, therefore many people leave work earlier and travel to spend Christmas Eve with their families – in the afternoon the Christmas tree is decorated (if it hasn’t been already) and in the early evening most families attend church. 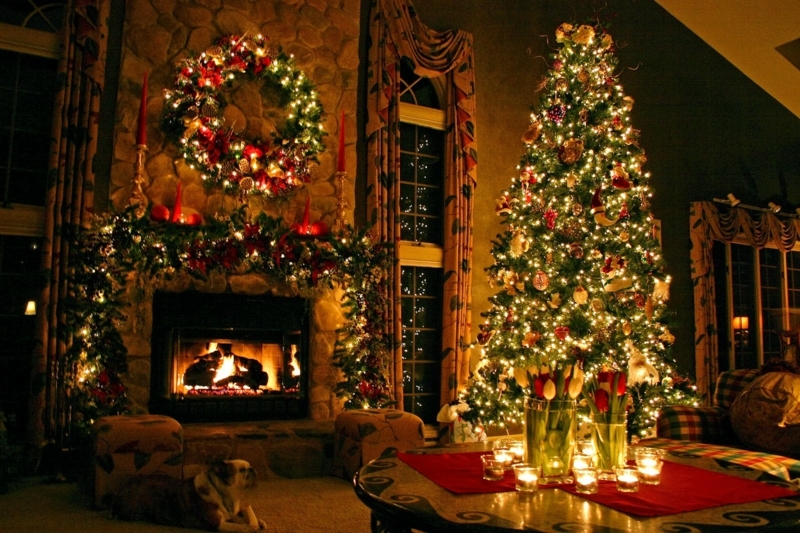 After families return home from church, it is time to open presents (Santa Claus or the Christ Child, depending on faith, goes to people’s houses during the church service to leave presents under the tree) and have a big family dinner. The next day, December 25th, is fairly similar to Australia – aside from the weather and the food eaten! Most people spend the day with their families, eating and drinking. Typical food for Christmas Day in Germany is a roast goose or duck, red cabbage and boiled potatoes or potato dumplings. 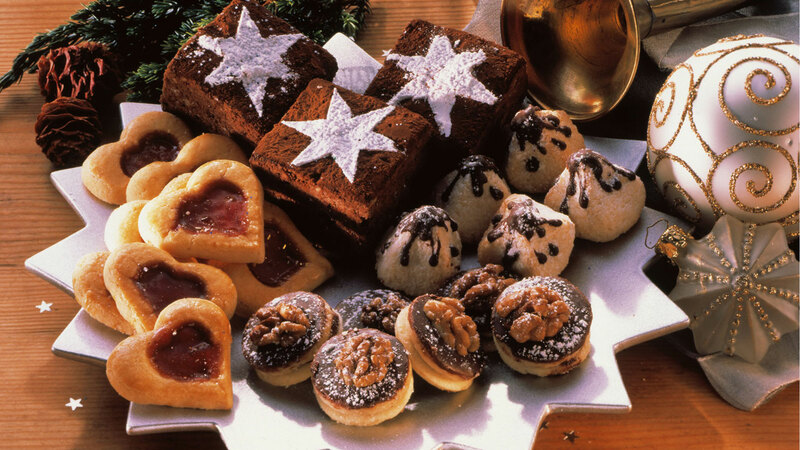 In the afternoon people usually enjoy sweet treats, such as Plätzchen (biscuits), Lebkuchen (gingerbread), Pfeffernüsse (gingerbread covered in sugar frosting), Stollen (a rich bread filled with marzipan and dried fruits) and Spekulatius (a type of biscuit flavoured with spices such as cinnamon and nutmeg). As the weather in Germany is much colder than in Australia, people enjoy these richer foods – unlike Australia where many people enjoy a big seafood lunch on Christmas day! 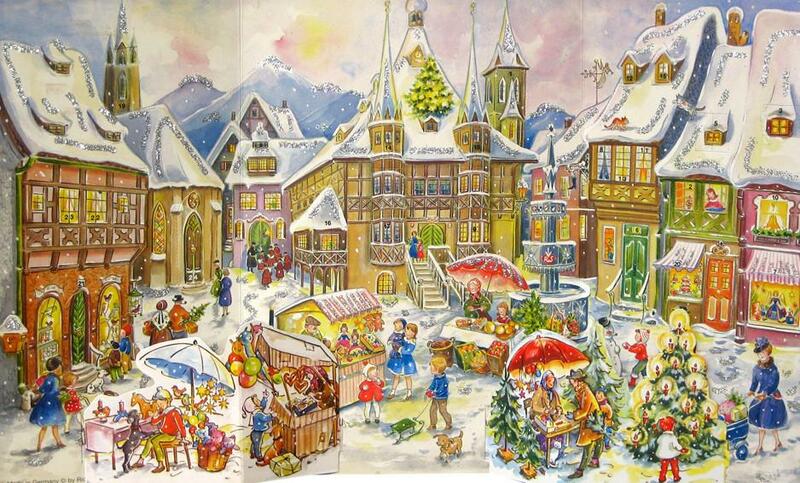 From our Oktoberfest family to yours – wir wünschen Euch frohe Weihnachten (we wish you a merry Christmas)! 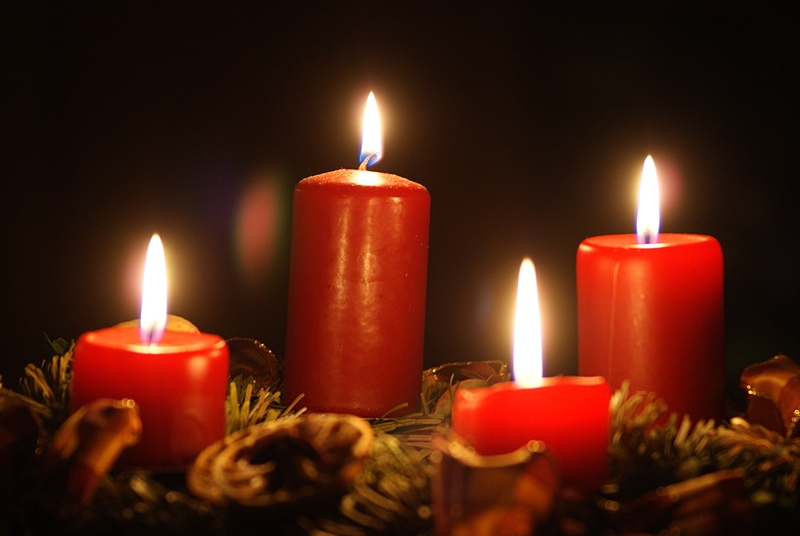 Advent is the four-week period leading up to Christmas and is celebrated on the four Sundays. Did you know…? 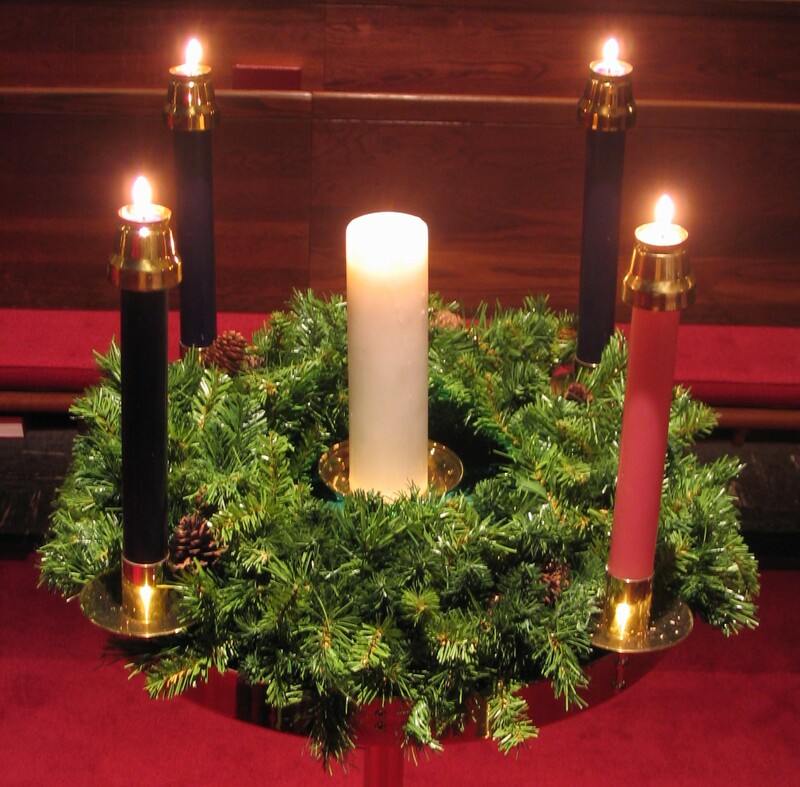 Advent means ‘Coming’ in Latin. 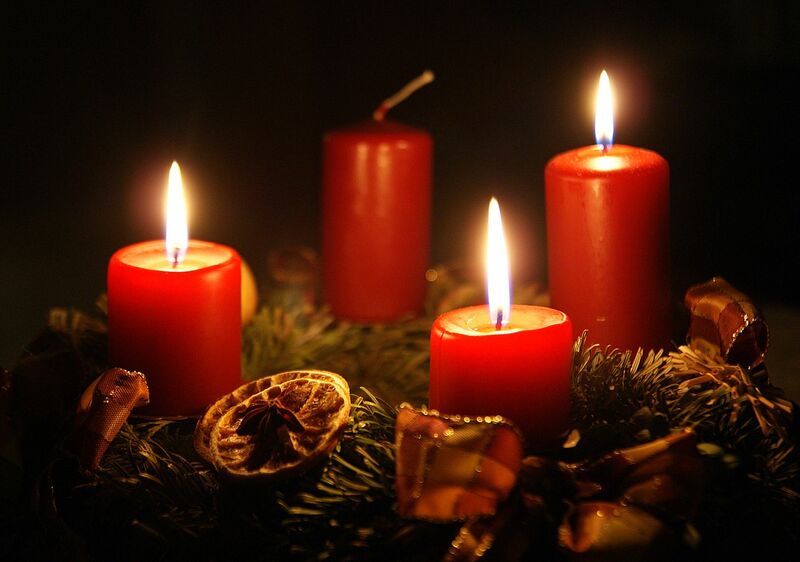 The Advent period is the ‘coming’ of Jesus into the world. 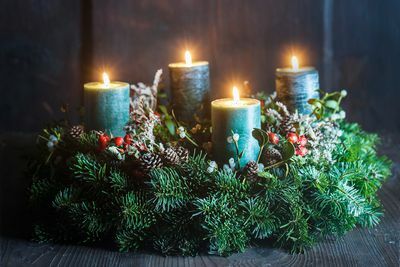 Nobody really knows where Advent first came from, but it dates back to at least 567 when monks were ordered to fast in the period leading up to Christmas. Some people (very few) keep up this tradition and fast during these four weeks in order to prepare to celebrate the coming of Jesus. In medieval times in some parts of England, there were early forms of nativity scenes, often referred to as ‘advent images’ which were often displayed in small wooden boxes – they generally featured two small dolls: one representing Mary and one representing the baby Jesus. These boxes were often decorated with flowers and ribbons and were carried from door to door. 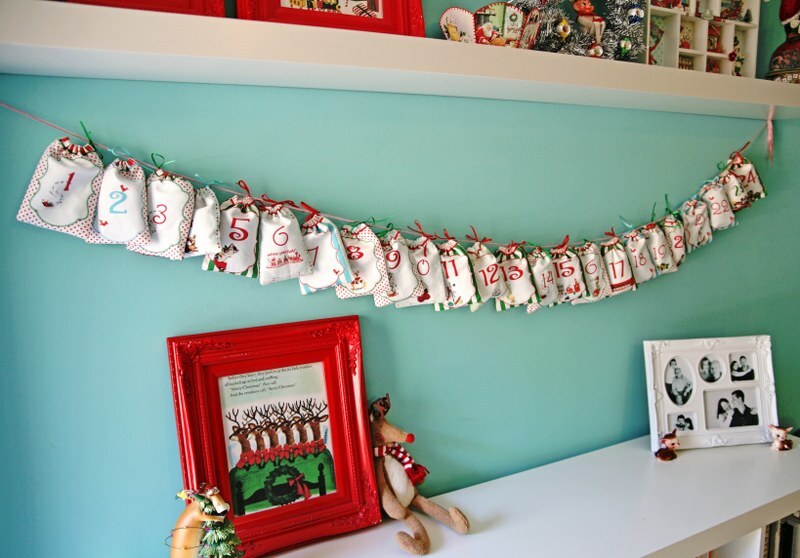 It was actually considered as unlucky if you hadn’t seen one of these boxes before Christmas Eve! 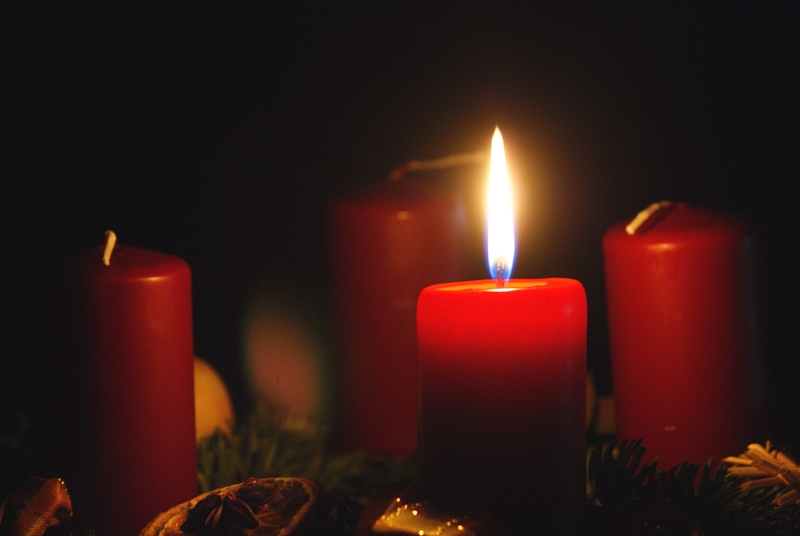 Nowadays, there are several ways in which Advent is counted down, but the most common way is a calendar or candles… but more about those in the next two weeks! 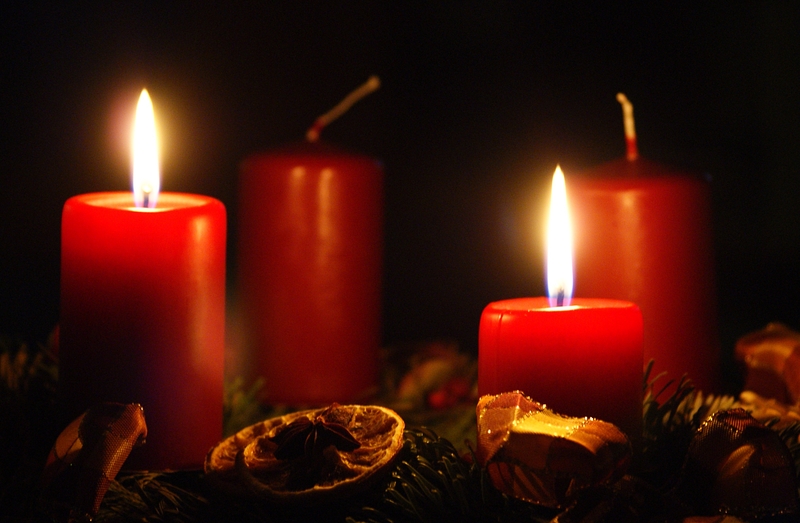 We wish you all a wonderful first Advent.